A new version of PowerShell Studio 2012 is now available. Registered users can download the latest service builds from MySAPIEN. ADD: Control Set Option “Use Existing Type (Match Name)”. Inserts the control only if the type and name doesn’t exist. ADD: Show Exported Files in Windows Explorer option. ADD: Help for WMI Classes and members. 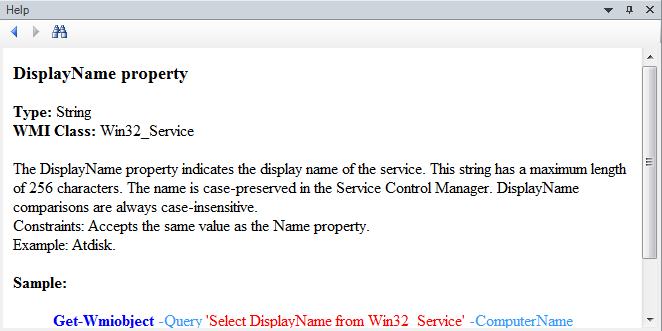 ADD: The WMI Browser Insert option on Properties now inserts a WMI query.